I guess this is a nice way to celebrate. 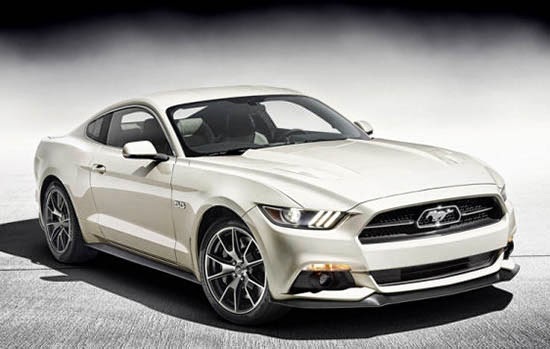 Make the new Mustang even more retro. It is a fully loaded version of the GT model. With a 420hp V8. It's actually kind of cool to see a little chrome line surrounding the side windows again. After so many years. On another note, after seeing the car in person, I don't think it looks great. 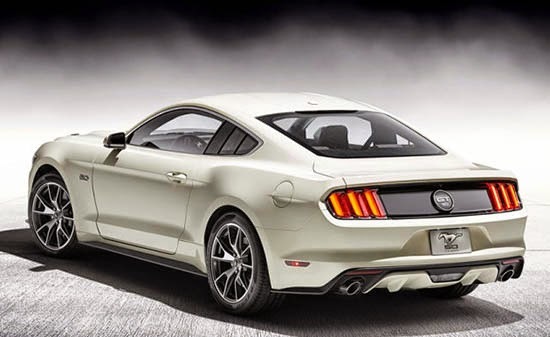 I haven't seen a new 'Stang in person, but the rear three-quarter view makes me think of the '70s Celica Liftback. I saw this thing in person @ the Detroit and Chicago auto shows. There was no crowd around it @ either show. That says a lot especially for it to be an all new car. IT doesn't scream muscle....it whispers american honda accord coupe. (seriously cover the front and back and see what it look like in profile). A solid double..definitely not a home run.